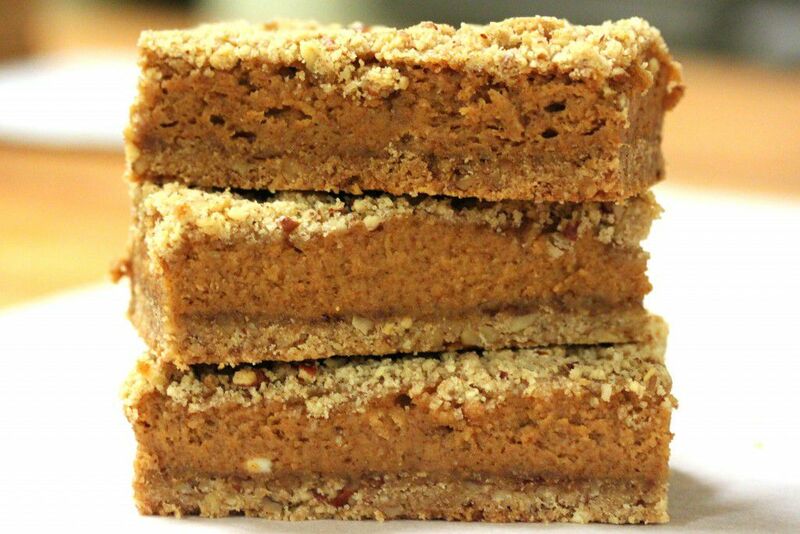 Celebrate the season with these delicious Pumpkin Cheesecake Bars. They’re the perfect treat for fall entertaining! Using a pastry cutter or your fingers, cut in butter until crumbly. Set aside ¾ cup of the topping. Press the remaining crumb mixture into a greased 8-inch square baking pan. Bake at 350°F for 15 minutes or until the edges are lightly browned. In a mixer using the paddle attachment or by hand, beat cream cheese and sugar until well combined. Beat in the pumpkin, eggs, vanilla, cinnamon, allspice and nutmeg.